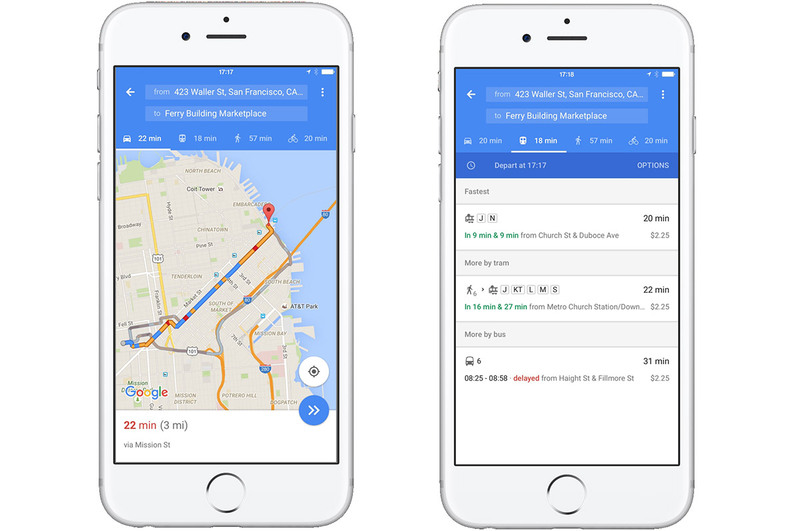 Google Maps for iOS has become a lot easier to use when you're in a hurry and quickly need to check how to get to your destination. The app now shows you all the possible ETAs for all the transportation types it supports in a single page, just like its Android counterpart. Simply ask the app for directions by typing in your location and where you want to go to whenever you need help in deciding whether you should hoof it, pedal it out, take the car or catch the next bus/train. The feature's live on the iOS app, and you can get it as soon as you download the latest update. By the way, if you have an Apple Watch, you can now also get directions right on your wrist. Google Maps Blocks my IP..
i found my house on google maps!